Pictures speak better than words so here they are. This time 8 people from "Las Columnas" joined the "Camp of Faith and Prayer". We were 10 people in a taxi, including the driver, myself and all the back packs. You can imagine the situation. As we say in Peru, we were as sardines in a can. My plan was to just take 5 kids but God’s plan was 9 (including me). At the beginning the kids were taking showers 4-5 times a day. Only if we know "Las Columnas", with the only 3 decent showers recently done by LJH, being shared by more than 100 people, we can sympathize with their desperation to take so many showers a day. The Camp was a 5 ***** for them. They felt free and safe. At times they drove me crazy but day after day their behaviour improved. Everything was beautiful for them (games, garden, food, music) and each one of them experienced the love of God. At the end in our way back to "las Columnas" (1.5 hours by car) they were singing, blessing the taxi driver and people in the streets. They entered "Las Columnas" singing, and even a group of people that were drinking in front of their homes felt embarrassed. They are back to a place were there is violence, alcoholism, drugs, abuse and danger but the seed of God’s word has been planted. Last night I was for about 3 hours at las Columnas. The ones that went to the Camp and some of the other kids joined the group. We sang and shared some Bible readings and each of the kids that went to the Camp, shared their experience. The testimony of one of the boys was powerful. He said he was not ashamed to talk about Jesus even if he gets hurt. This is amazing considering that this kid was known as strange and shy. This was understandable when we learned he lived in dysfunctional homes all his life, suffering physical and mental abuse. No psychologist would have accomplished this change in such a short time. All of these kids were very wounded when they arrived at the Camp but God’s love touched each one of them in a very gentle but powerful way with His Holy Spirit. Please, pray for protection of the seeds planted in their hearts, so they can grow strong and be like seeds that fell on the good ground, growing strong in the Word of God and bearing much fruit in its season. Also pray for me to continue the watering, even once a week until I return to Ottawa. What does worshiping Jesus as the scapegoat teach us? In worshiping the scapegoat, we should gradually learn to stop scapegoating, because we could be utterly wrong, just as church and state, high priest and king, Jerusalem and Rome, the highest levels of power were utterly wrong in the death of Jesus. He was the one that many of us call the most perfect man who ever lived, and yet they all missed the point. That should give us some healthy humility about how wrong power can be, and how wrong all of us can be. If the highest levels of power can be that wrong, then be most careful whom you decide to hate, kill, exclude, and diminish. Power and authority are not always good guides, if we are to judge by much of human history. For many, if not most people, any authority takes away all of their anxiety, and often their own responsibility to form a mature conscience themselves. How do I stand against hate without becoming hate myself? So we will pose the great spiritual problem in this way, How do I stand against hate without becoming hate myself? We would all agree that evil is to be rejected and overcome; the only question is, how? How can we stand against evil without becoming a mirrorbut deniedimage of the same? That is often the heart of the matter, and in my experience is resolved successfully by a very small portion of people, even though it is quite clearly resolved in the life, death and teaching of Jesus. Jesus gives us a totally different way of dealing with evilabsorbing it in God (which is the real meaning of the suffering body of Jesus) instead of attacking it outside and in others. It is undoubtedly the most counter-intuitive theme of the entire Bible. It demands real enlightenment and conversion for almost all of us. How does dualistic thinking create violent people? We Christians, who dare to worship the scapegoat, Jesus, became many times in history the primary scapegoaters ourselvesof Jews, heretics, sinners, witches, homosexuals, the poor, the natives in the New World, slaves, other denominations, and other religions. Its rather hard to believe that we missed such a central message. The pattern of exporting our evil elsewhere, and righteously hating it there, with impunity, is in the hardwiring of all peoples. After all, our religious task is to separate from evil, isnt it? That is the well-disguised lie! Any exclusionary process of thinking, any exclusively dualistic thinking, will always create violent and hateful people on some level. This I state as an absolute, and precisely because the cross revealed it to me. The crucifixion scene is our standing icon stating both the problem and the solution for all of history. On the Day of Atonement (see Leviticus 16:21-22) a goat was brought into the sanctuary. The high priest would lay his hands on the goat and all the sins and failures of the people from the last year were ceremonially laid on the goat, and the goat was sent out into the desert to die. The assumption here is that evil can be expelled elsewhere, and the goal of religion is personal purity. What immediately follows from the scapegoat story (the escaping goat) of Leviticus 16 is what is called The Law of Holiness (Leviticus 17-27), which largely defines holiness as separation from evilwhich is exactly what they had just ritualized. In general, this is the pattern of most first-stage religion. Three thousand years later, human consciousness hasnt moved a great deal beyond that, despite the message of the cross. Jesus does not define holiness as separation from evil as much as absorption and transformation of it, wherein I pay the price instead of always asking others to pay the price. From the cross, Jesus is shouting to history, No more scapegoats! Look how wrong you can be. The spirituality behind the Twelve-Step Program of Alcoholics Anonymous is a low Church approach to evangelization and healing that is probably our only hope in a suffering world of six-and-a-half billion people. Our suffering is psychological, relational and addictive: the suffering of people who are comfortable on the outside but oppressed and empty within. It is a crisis of meaninglessness, which leads us to try to find meaning in possessions, perks, prestige and power, which are always outside of the self. It doesnt work. So we turn to ingesting food, drink or drugs, and we become mass consumers to fill the empty hole within. The Twelve-Step Program walks us back out of our addictive society. Like all steps toward truth and Spirit, they lead us downward. Bill Wilson and his A.A. movement have shown us that the real power is when we no longer seek, need or abuse outer power because we have found real power within. They rightly call it our Higher Power. How does one incorporate imperfection? In a Navajo rug there is always one clear imperfection woven into the pattern. And interestingly enough, this is precisely where the Spirit moves in and out of the rug! The Semitic mind, the Eastern mind (which, by the way, Jesus would have been much closer to) understands perfection in precisely that way. The East is much more comfortable with paradox, mystery, and non-dual thinking than the Western mind which is formed by Greek logic. Perfection is not the elimination of imperfection, as we think. Divine perfection is, in fact, the ability to recognize, forgive, and include imperfection!just as God does with all of us. Only in this way can we find the beautiful and hidden wholeness of God underneath the passing human show. It is the gift of non-dual thinking and seeing, which itself is a gift of love, suffering, and grace. In fact, this is the radical grace that grounds all holy seeing and doing. What if I gave up being right for Lent? The second temptation of Jesus is another one that all of us must face. Satan takes Jesus up to the pinnacle of the Temple, symbolizing the top of the religious world itself, and tells him to play righteousness games with God. Throw yourself off and hell catch you (Matthew 4:6). Its the only time in the Bible where the devil quotes Scripture. Holy words can be used for evil purposes, it surely says. This second temptation is to think of yourself as saved, superior to others, the moral elite on the side of God and religion, and to quote arguable Scriptures for your own purposebeing against God in the name of God. Actually it is quite common. As Mother Teresa loved to say, We were not created to be successful [even spiritually successful! ], but to be obedient. True obedience to God wont always make us look or feel right (that is why it takes faith! ), so be careful before you stand on the pinnacle of any Temple, Scripture, or Sacrament. It is the common temptation of actually loving ourselves under the guise of loving God. Never miss these times. it is not what I reveal to you so much as the linking up of your frail natures with the limitless Divine Powers. Already, forces are set in motion. Only My Will is comig to pass. And now God is blessing you very richly. You think that there is much to do in a crisis like this. There is only one thing to do. Link your lives on to the Divine Forces, and then, it is as much My work to see those lives and their affairs run in an orderly right manner as to see that tomorrow’s Sun rises. It is not passionate appeal that gains the Divine Ear so much as the quiet placing of the difficulty and worry in the Divine Hands. So trust and be no more afraid than a child would be, who places its tangles skein of wool in the hands of a loving mother, and runs out to play, pleasing the mother more by its unquestioning confidence than if it went down on its knees and implored her help, which would pain her the rather, as it would imply she was not eager to help when help was needed. 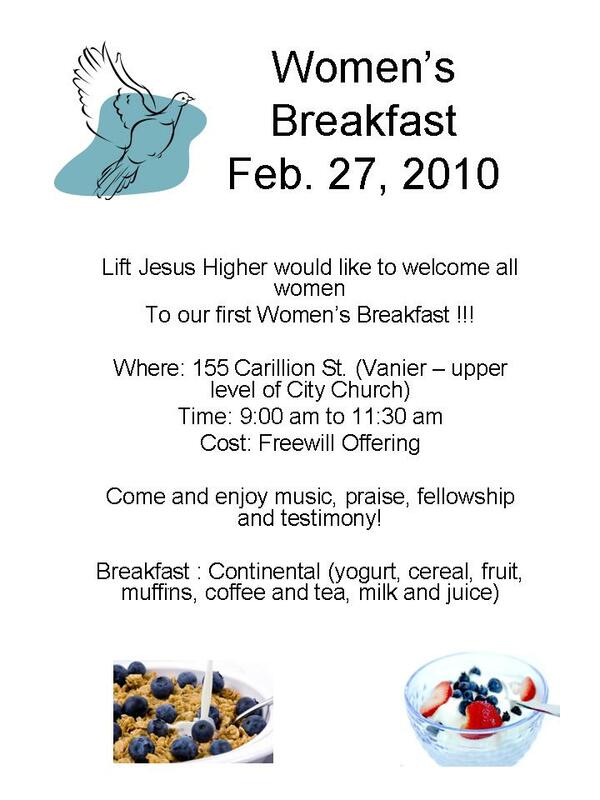 You are currently browsing the Lift Jesus Higher blog archives for February, 2010.